A Liverpool PlusBus ticket gives you unlimited bus travel on participating operators’ services, around the whole urban area of Liverpool city, as shown by the travel maps (below). Liverpool: Central, James Street, Lime Street, Moorfields & Liverpool South Parkway. East Midland Trains or London Northwestern Railway or TransPennine Express or Virgin Trains. Arriva, Stagecoach, Merseytravel, Halton Borough Transport, Peoplesbus, Huyton Travel (HTL Buses). Going to Liverpool John Lennon Airport? 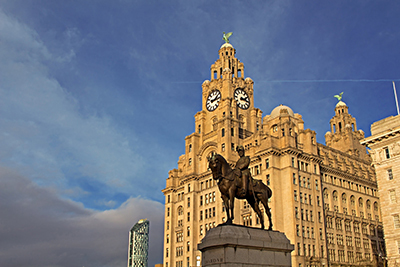 Use a Liverpool PlusBus ticket on Arriva route 500 which runs frequently from Liverpool city centre 'One Bus Station' to Liverpool John Lennon Airport. Use a Liverpool PlusBus ticket on Arriva routes 80A, 86A & 500 which run frequently from Liverpool South Parkway station to Liverpool John Lennon Airport. They also pass near Speke Hall (the National Trust property). LIVERPOOL+BUS (J099), LIVERPL STHP+BUS (J100).